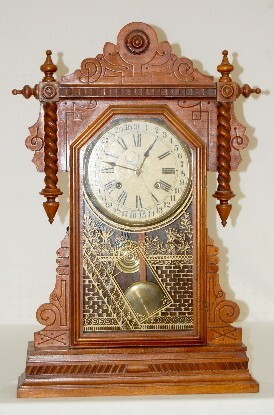 Waterbury Walnut "Buffalo" Calendar Clock has pendulum and key; marked WC calendar dial; 8 day; half hour strike; door decorated with gilt brick wall and potted plants. (Dial crazed.) Running and gongs. 27"